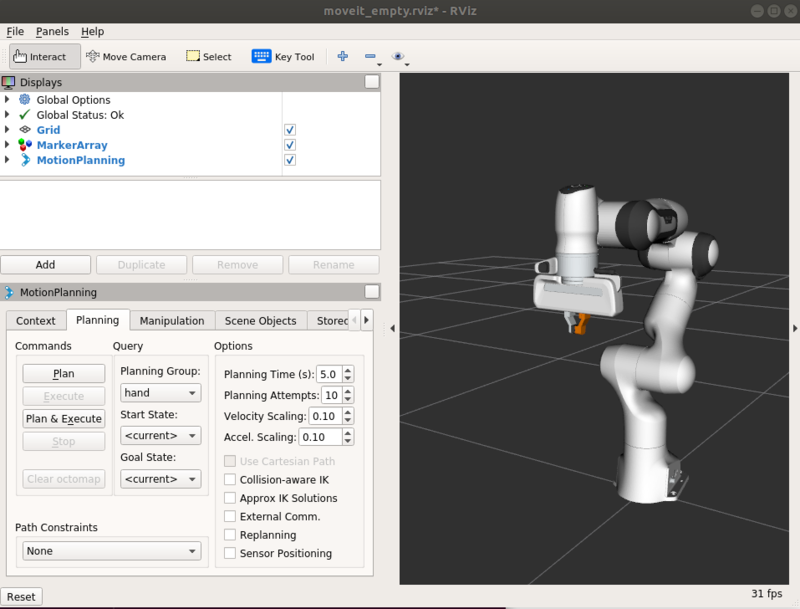 Now, you can start configuring the Plugin for your robot (the Panda in this case). Click on “MotionPlanning” within “Displays”. Make sure the Planning Scene Topic field is set to /planning_scene. Click on topic name to expose topic-name drop-down. In Planning Request, change the Planning Group to panda_arm. In Planned Path, change the Trajectory Topic to /move_group/display_planned_path. The planned path using the Show Robot Visual checkbox in the Planned Path tab. The start state using the Query Start State checkbox in the Planning Request tab. The goal state using the Query Goal State checkbox in the Planning Request tab. Now, you can start motion planning with the Panda in the MoveIt! RViz Plugin. From “ Panels ” menu, select “ MotionPlanning - Slider ”. You’ll see a new Slider panel on RViz. Set your goal pose, then run Plan . Play with the “ Slider ” panel, e.g. move the slider, push “ Play ” button. 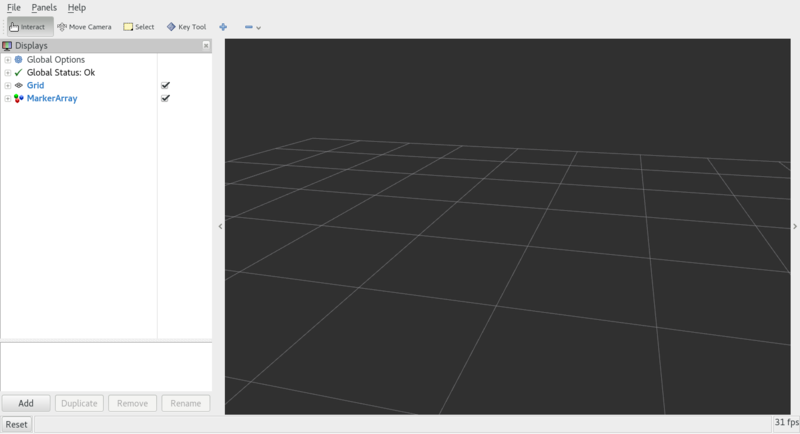 From “ Panels ” menu, select “ RvizVisualToolsGui ”. You’ll see the new panel added to RViz.